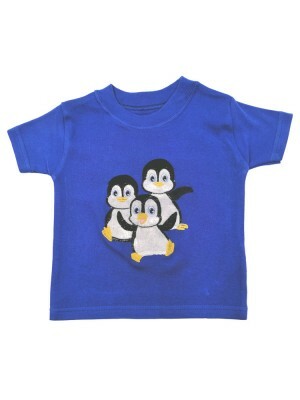 A lovely soft cotton t-shirt with a cute Penguin applique on the front. 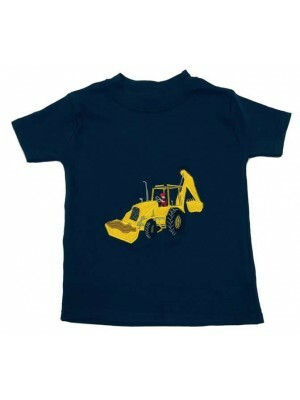 Fabric Content – 100% Cotton T-Shirt Garment Care - Cool machine wash. Avoid ironing applique ..
A cotton t-shirt with a lovely yellow digger applique on the front. 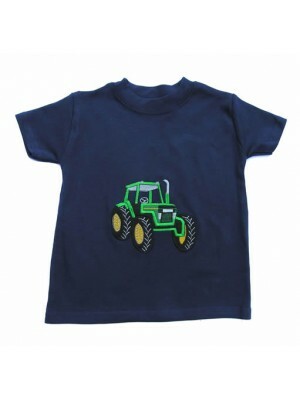 Fabric Content – 100% Cotton T-Shirt Garment Care - Cool machine wash. Avoid ironing applique ..
A smart green tractor applique on a navy cotton t-shirt. 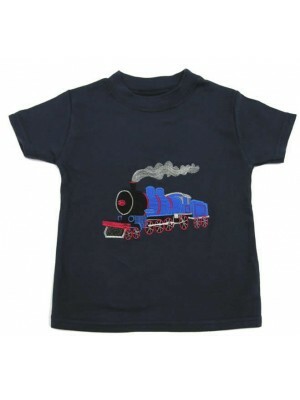 Fabric Content – 100% Cotton T-Shirt Garment Care – Cool machine wash. Avoid ironing applique ..
A super cotton navy t-shirt with a train applique on the front. 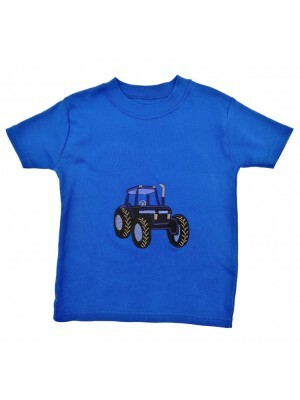 Fabric Content – 100% Cotton T-Shirt Garment Care - Cool machine wash. Avoid ironing applique ..
100% soft cotton t-shirt featuring a big blue tractor applique on the front. 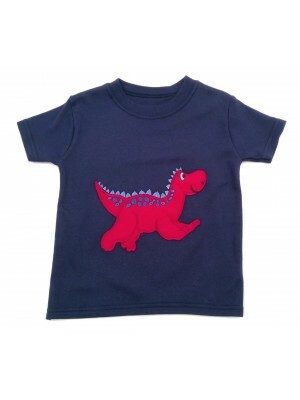 Fabric Content – 100% Cotton T-Shirt Garment Care - Cool machine wash. Avoid ironing applique ..
A lovely soft cotton t-shirt with a happy dinosaur on the front. 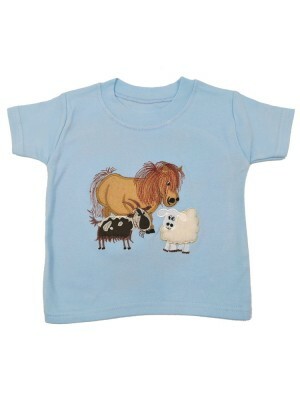 Matches perfectly with our Quay shorts. 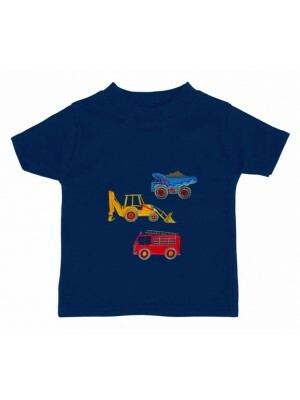 Fabric Content – 100% Cotton T-Shirt Garment Care - Cool machine wash. Avoid ironing applique ..
A soft cotton t-shirt with a cheerful 3 vehicle motif on the front that includes a bright red fire engine. 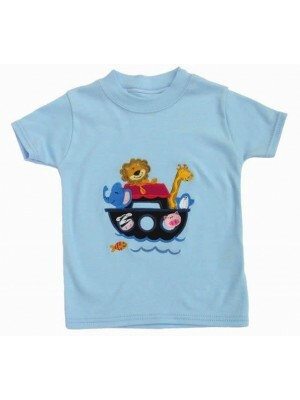 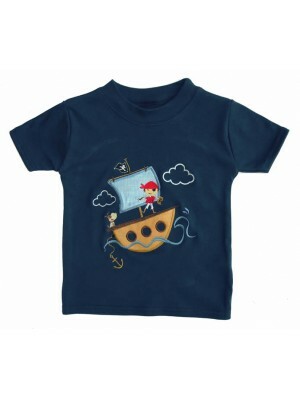 Fabric Content – 100% Cotton T-Shirt Garment Care - Cool machine wash. Avoid ironing applique ..
A soft cotton t-shirt with a fabulous pirate ship applique on the front. 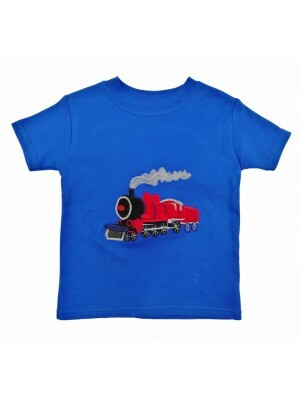 Fabric Content – 100% Cotton Garment Care – Cool machine wash ..
A great summer t-shirt for any little boy with a lovely red train applique on the front. 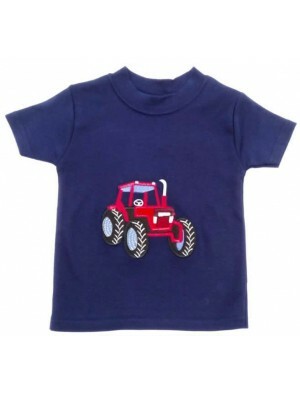 Fabric Content – 100% Cotton T-Shirt Garment Care - Cool machine wash. Avoid ironing applique ..
A soft cotton t-shirt featuring a bright red tractor on the front. 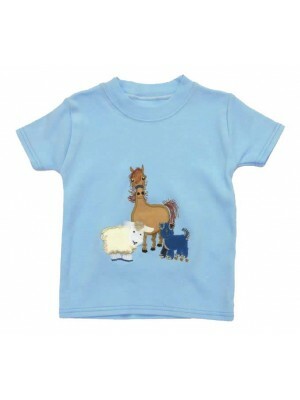 Fabric Content – 100% Cotton T-Shirt Garment Care - Cool machine wash. Avoid ironing applique ..
A soft cotton t-shirt with a farmyard gathering motif on the front featuring a fluffy sheep Fabric Content – 100% Cotton T-Shirt Garment Care - Cool machine wash. Avoid ironing applique ..
A soft cotton navy t-shirt featuring a fun pirate ship applique Fabric Content – 100% Cotton T-Shirt Garment Care - Cool machine wash. Avoid ironing applique ..
A soft cotton t-shirt featuring a cheerful Noah's Ark motif Fabric Content – 100% Cotton T-Shirt Garment Care - Cool machine wash. Avoid ironing applique ..
A soft cotton t-shirt featuring a happy farm animals on the front. 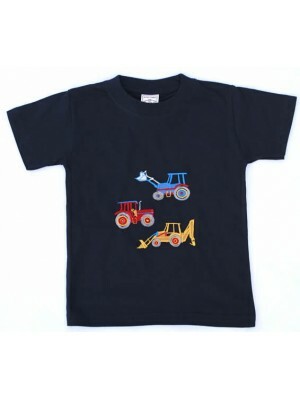 Fabric Content – 100% Cotton T-Shirt Garment Care - Cool machine wash. Avoid ironing applique ..
A great t-shirt for any tractor loving boy. 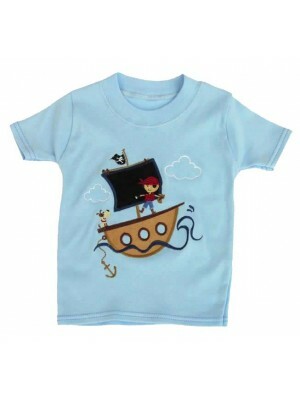 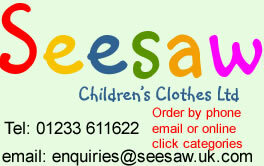 Fabric Content – 100% Cotton T-Shirt Garment Care - Cool machine wash. Avoid ironing applique ..